Roots enable you to withstand the wind. The Hullinger Therapy Group works with you to establish a sense of well-being when things aren't feeling clear. Together we will address the challenges interfering with your wellness no matter the Life Transitions you are currently navigating. We serve individuals and couples in the Hoboken, Jersey City, Union City, Bayonne, North Bergen and Manhattan areas. Do you ever feel overwhelmed by your problems? If so, you are not alone. According to the National Institute of Mental Health, more than a quarter of a million American adults experience periods of Depression and Anxiety causing personal and professional struggles. It may be time to find a psychotherapist if you are repeating patterns or behaviors that have not served you well and worse, get in the way of your contentment and happiness. Transitioning into any new area of life is difficult and leave many feeling stuck or unsettled and seeking a place to land with a greater sense of ease. Reaching out to a Psychotherapist can be difficult but is a very hopeful step in the process of change. There is great value in participating in talk therapy and many scientific studies to back it up. In the individual psychotherapy session or talk therapy, we will address symptoms of anxiety and depression that may be getting in your way of personal ease and professional success. It will take work. But I will be with you and we will come up with a plan. I approach individual counseling through a strengths based perspective and primarily use a systems approach along with Cognitive Behavioral (CBT) and Mindfulness tools. The system is you...the people and influences you bring from the past and who you have with you now. Mindfulness tools focus on a way of being in the world and nurturing a sense of being all right with who you are in these very confusing times. The process is collaborative and compassionate. Throughout the process I will provide concrete tools and help you set goals to review and provide direction over time. We do not accept insurance. Hullinger Therapy Group expects payment at the time of your appointment with cash, check, or a major credit cards. I am a Licensed Clinical Social Worker with a private practice in Hoboken, NJ. I began my work as an undergraduate earning a BSW from University of Oklahoma. After doing case work in Pennsylvania and NJ, I earned my MSW in Clinical Social Work from Fordham University in New York in 1994. As a senior clinician, I continued my studies in a supervised practice with Youdin Institute for Psychotherapy in Matawan, NJ. Since this time I have worked with individuals and families in the community, hospitals, clinics, schools and private practice settings. I have been profoundly influenced by my yoga practice. I firmly believe in meditation and other mindfulness practices and combine them with use of cognitive behavioral tools to address your monkey mind. Are your thoughts swinging from branch to branch? More of my influences include a book by Lorne Ladner, The Lost Art of Compassion: Discovering the Practice of Happiness and the works of Brene' Brown on Vulnerability and Shame. 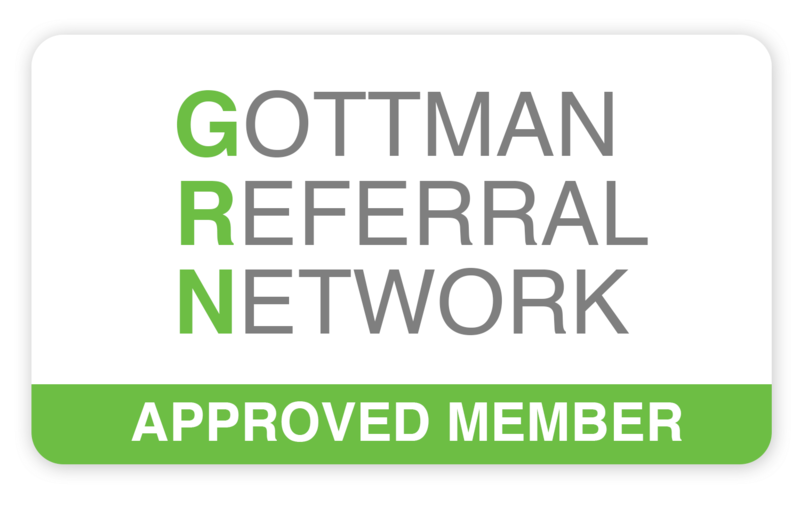 My continued study with the Gottman institute is also exciting and is informing my work with couples. I can go on and on but I'd rather meet you and go from there. It's about you, not me. Copyright 2017. Hullinger Therapy Group.